The annual AmCham-China survey of its members—a barometer of sentiment among U.S. investors in China—reflects worries that China’s three-decades-long push for open markets could be stalling, as the government increasingly seeks to favor state-owned domestic enterprises that have spearheaded the economic recovery. In the latest example of difficulties facing U.S. businesses in China, AMR Corp.’s American Airlines announced it was canceling its inaugural Chicago-Beijing flight on Monday because it couldn’t secure “viable” slots from Chinese authorities. The airline said the tentative new start day for the route is now May 4. The AmCham survey adds to evidence that foreign investors, looking beyond the current boom, are growing cautious. China says steadily increasing levels of foreign investment indicate the country remains an attractive destination for foreign businesses. Foreign direct investment rose 7.7% in the first three months of this year from the year-earlier period. 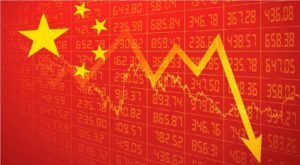 “While most members continued to be optimistic about China’s market potential, many have begun questioning their long-term viability in China, as they consider the obstacles presented by an increasingly difficult regulatory environment,” says the AmCham-China white paper, released Monday. For the first time in the 12-year history of the surveys, regulation tops the list of concerns among member companies, displacing worries about rising salaries, and recruiting and retaining key staff. At a news conference to launch the survey, Lester Ross, an AmCham-China board member and managing partner in Beijing for U.S. law firm Wilmer Cutler Pickering Hale & Dorr, cited many examples of ways in which Chinese regulation discriminates against foreign investors and favors their domestic competitors. Foreign companies face long delays in gaining approval for mergers and acquisitions while Chinese applications face “little, if any, review.” Environmental laws are applied more stringently against foreign companies, Mr. Ross said. Authorities tend to “disfavor foreign rights holders” in disputes over intellectual property. An AmCham-China survey released in March showed a growing number of U.S. companies feel unwelcome. That result was linked to regulations aimed at squeezing foreign firms out of China’s vast government procurement market. 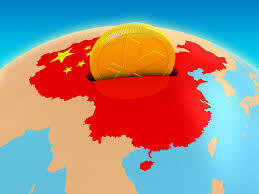 Overall, the AmCham survey showed that U.S. companies in China are performing well. A total of 71% of companies said they were “profitable” or “very profitable” in 2009, down just slightly from 74% in 2008. Nearly four out of five companies said they would expand investment in China this year; and 91% said they were optimistic about the outlook for the next five years.